Capathia Jenkins has one of the greatest voices I have ever heard! I have been a fan of hers since I heard Capathia sing on Jonathan Reid Gealt’s debut album Thirteen Stories Down. When I saw Capathia this past February at Carnegie Hall with the New York Pops she literally blew the roof off. 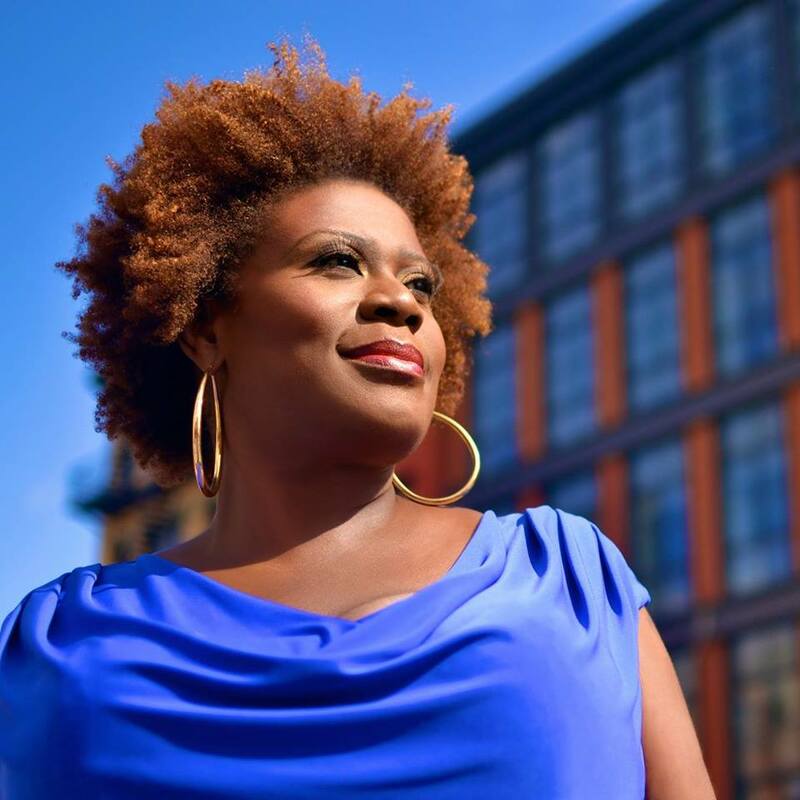 When I heard about Capathia’s lastest CD, Phenomenal Woman: The Maya Angelou Songs, I knew I had to get the inside scoop on the making of this album. This project has powerful written all over it…from the poems of Maya Angelou to Capathia’s vocals to Louis Rosen’s compositions, it’s one CD you need for your collection. Phenomenal Woman: The Maya Angelou Songs is available on iTunes and Amazon. This album is so big that Capathia and Louis celebrated the album’s release with a three-night concert at Birdland Theater in NYC (315 West 44th Street, between 8th & 9th Avenue), with the final concert being tonight, Saturday, October 27 at 7pm. Click here for tickets! For more on Capathia visit http://capathiajenkins.com and follow her on Facebook, Twitter, and Instagram! 1. You & Louis Rosen just released your fifth collaboration together entitled Phenomenal Woman: The Maya Angelou Songs. Let's just start with a little bit of background first before diving into the specifics of the project. How did Maya Angelou influence you? When I was 13 or 14 years old I read, I know why the caged bird sings, Maya’s first autobiography and was struck by the way she tells stories. I could relate to being a little black girl growing up and discovering so much about the world around me. Through the years, I read more and more of her work and just loved the way she used beautiful language to describe trauma and pain and adversity. She also spoke to the possibility that no matter where you come from you can achieve greatness. 2. How did you & Louis first come to work together? We first met on a recording project and as that project was ending he said he would like to write for me. I was flattered but didn’t take him seriously because folks have said that before and you never hear from them again. But Louie called me about three weeks later and said he had begun to sketch some tunes and would I come have a listen. The first song was “Phenomenal Woman” and it was amazing. This was the start of our collaboration. 3. What has made you want to continue to work with him? He has such a beautiful way of setting poetry to melody, it is extraordinary. The songs are very accessible although the style maybe genre bending with jazz, soul, blues, pop, etc. No other composer does what Louie does for me, it is challenging technically but so satisfying to be able to convey story through very singable melodies. I just love our collaboration. We both bring the best ourselves to our work together. 4. The idea for this project first came about in 2005. At that time, how did you choose which 11 Maya Angelou poems you wanted to perform? Well, we started with the most famous poems like “Phenomenal Woman” and “Caged Bird” and then Louie chose poems that spoke to him with subject matter that we felt would lend itself to song. 5. It wasn't until 2017 that you got the rights to include recording and publishing. What was it like the day you found out you got these rights? It was WONDERFUL because it was a long time coming. We immediately began making plans to get into the studio and Louie was now arranging the music for a six piece band. Originally it was just piano and voice. 6. Was there a reason it either took 12 years to get these rights or for waiting to try to get the rights? Yes, originally Maya only gave us rights to perform the songs live. It took that long to finally have the rights expanded to record. 7. In recording these poems 12 years later, how has your relationship to them changed, especially given the current political climate we live in? Well, I believe everything happens in its time and timing is everything. I am older and I have more life experience to draw on in relation to these songs. I feel like I’m able to get inside of these stories in a much more intimate way and I just don’t think I had it 12 years ago. The current climate certainly has influenced my approach to the work because so much of what Maya has written still resonates loudly today. This project is a gift to me in so may ways but particularly during this time as it is hopeful and joyous. 8. Since the title of the album is called Phenomenal Woman, who are some other women you consider to be phenomenal in addition to Maya Angelou? First, my Mother, Sadie Mae White, who taught me so much about being a strong, resilient, confident black woman - Sadly she passed away 10 years ago but she is always with me. Then - Oprah Winfrey, Sheryl Sandberg, Malala Yousafzai, Maxine Waters, Angela Robinson, Geraldine DeHaas, Hope Clarke, and Cathy Parker. There are so many Phenomenal Women out here living their lives everyday I could probably fill pages and pages with all the names. Those I don’t know personally and those I gratefully know and cherish all impact who I am. For these last few questions, let's play with the titles of some the poems on the album. 9. "Come Be My Baby" - What famous person would you like to be your baby? None - I am married to the love of my life. I got married just two years ago and I am so glad I waited until he found me. 10. "Out Here Alone" - When in either your life or career have you been at your loneliest? Within my career life is always happening and affecting my career so I really can’t separate the two - when my Mom died I felt so alone and broken and even now I’m writing this through tears. I have such a close-knit family and my siblings are great human beings but my Mom was so much more. That was 10 years ago. Then my best friend in the world got kidney cancer and died just two years after my Mom. This broke me, I canceled everything and was on my couch for two weeks. How do I continue without my Mom and Elva? I think of them often and carry them with me always. 11. "Think About Myself" - When has there been a time when you knew you just have to put yourself first? This is a very interesting question - when I think back, I’ve always put myself first. I’ve always had a strong sense of self maybe from the lessons I learned from my mom but, I know what I want and what I need and I am clear about it. Even when it's not the popular view, I am able to stand in the center of who I am. The older I get and the more life experience I gain I realize just how important it is for self-care. 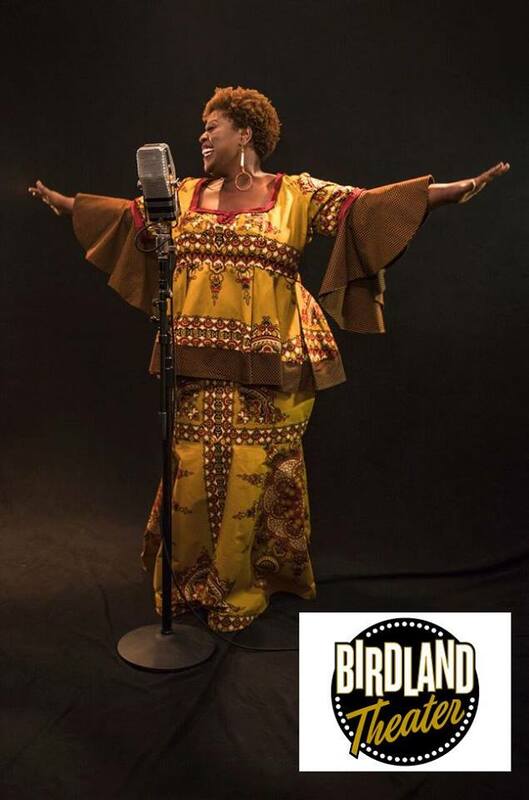 Capathia Jenkins has been featured on Broadway in Newsies; Martin Short: Fame Becomes Me; Caroline, or Change; The Look of Love; The Civil War; and Off-Broadway in Nora Ephron’s Love, Loss, and What I Wore; (mis) Understanding Mammy: The Hattie McDaniel Story (Drama Desk nomination); and Godspell. An active concert artist, Capathia has appeared with orchestras around the world including the Cleveland Orchestra, Houston Symphony, Pittsburgh Symphony (with Marvin Hamlisch), National Symphony, Atlanta Symphony, Seattle Symphony, Utah Symphony, Minnesota Orchestra, San Antonio Symphony, Minnesota Orchestra, Memphis Symphony, Nashville Symphony, Toledo Symphony, Colorado Symphony, Toronto Symphony, Edmonton Symphony, Calgary Philharmonic, Kansas City Symphony, San Diego Symphony and the Hong Kong Philharmonic. She was a soloist with the Festival Cesky Krumlov in the Czech Republic. In 2011 Capathia had the great honor of performing in the “Broadway Ambassadors to Cuba” concert as part of the Festival De Teatro De La Habana. Capathia was a guest soloist with Peter Nero and the Philly Pops and with the Cincinnati Pops. Capathia’s Television credits include 30 Rock, The Practice, Law & Order: SVU, The Sopranos, & Law & Order. She can be seen in the 2012 film Musical Chairs directed by Susan Seidelman. She can be heard on the following film soundtracks: Nine, Chicago, Legally Blonde 2.